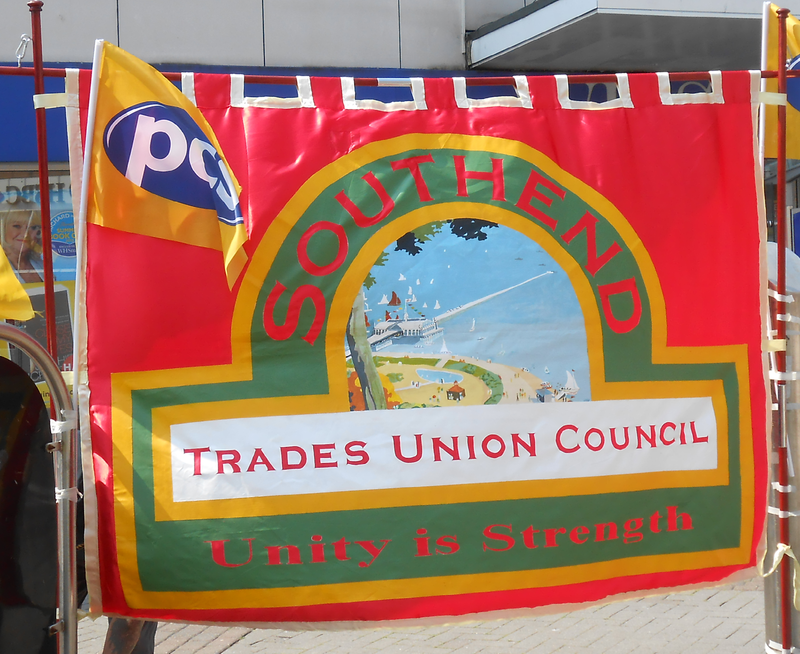 Southend Trades Union Council: Why join a union? As an individual worker your relationship with your employer is not one between equals. By joining with other workers in a union you are much better placed to claim your rights. Joining a union is about standing up for one another. On your own you have very little power to influence decisions made by your employer. Uniting with your colleagues in the union means you can make a difference. Workers form unions so they can have a voice on the job to improve their lives, those of their families and their communities. In every part of working life unions make a difference. For comparable jobs, workers in unions are paid around 8% more than non-union workers. You are twice as likely to be in a low paid workforce if you are not in a union. Non-union firms sack two and a half times as many workers as those where unions are recognised. When redundancies take place they are more than twice as likely to be compulsory where there is no union. Across the UK there is a network of union appointed Safety Representatives who ensure that health and safety in the workplace is monitored, evaluated and improved. These representatives are highly trained and supported by other union specialists. In non-union workplaces, workers are on their own. Unions also represent members when they have a problem at work. If an employee feels they are being unfairly treated he or she can ask the union representative to help sort out the difficulty with the manager or employer. If the problem cannot be resolved amicably, the matter may go to an employment tribunal. Members can ask their union to represent them at industrial tribunals. Most cases that go to employment tribunals are about pay, unfair dismissal, redundancy or discrimination at work. Unions also offer their members legal representation. Normally this is to help people get financial compensation for work-related injuries or to assist people who have to take their employer to court. Without a union you are on your own. By joining a union you can help everyone get fairness at work.